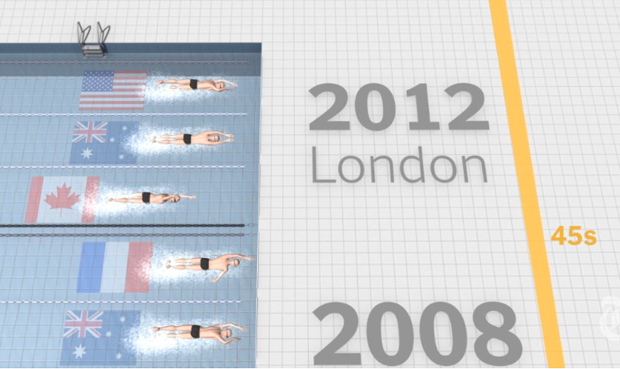 Trust the Olympics to inspire some innovative data visualization. 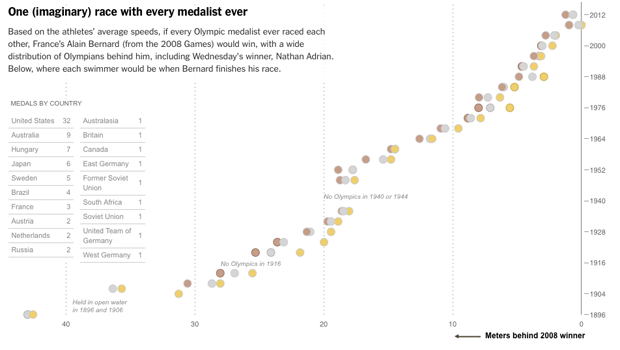 Thanks to friend Peter F. for the tip on a nice series of visualizations from The New York Times that compare today’s winning sprinters, swimmers and jumpers with past medalists. Interesting to see the steady march forward over the years in swimming and sprinting. Curious that there’s not a similar progression in jumping. Is that because the long jump is a more complicated venture than a pure sprint? Or just because there was only one Bob Beamon?